I have finished the main beaded section and added a nice piece of distressed leather. Today I finished a small beaded section for the bottom. I have been going through my feathers, deciding which to add to the fringe. Still a work in progress, but I am liking it. 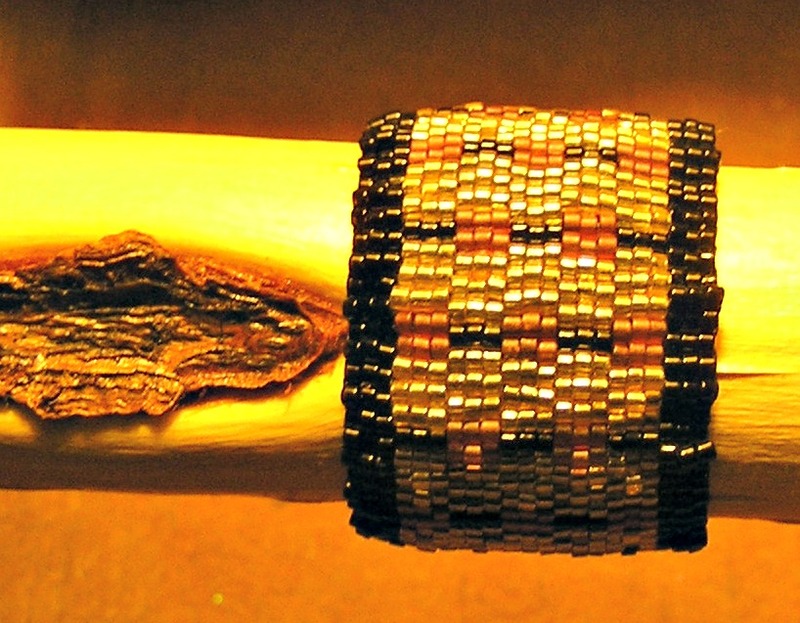 I plan on adding one more beaded section, working on something with a bird…. I hope to have this finished by the end of March, wish me luck. Previous I have added new items to my New Store! Please have a look.